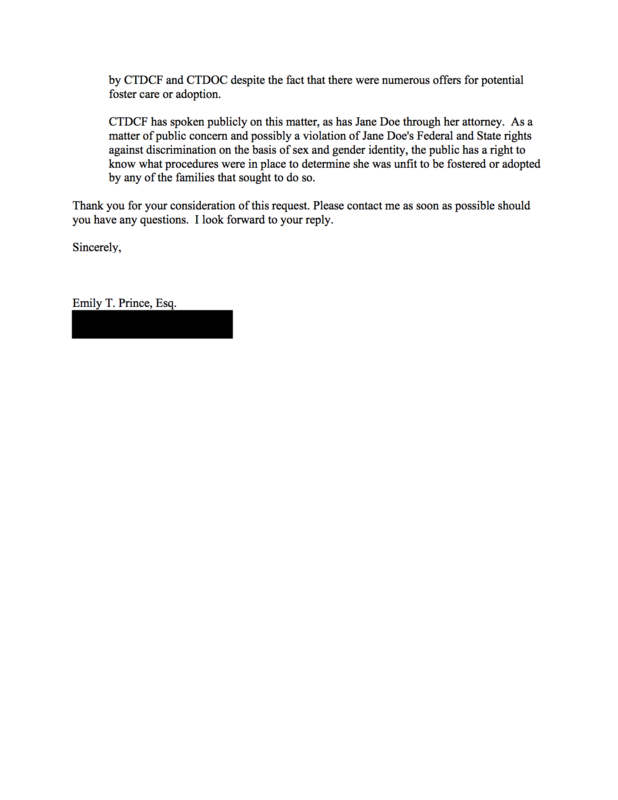 Jane Doe has been imprisoned by CTDCF because they claim there is no home for her, while ignoring requests from families who would welcome her into their homes. 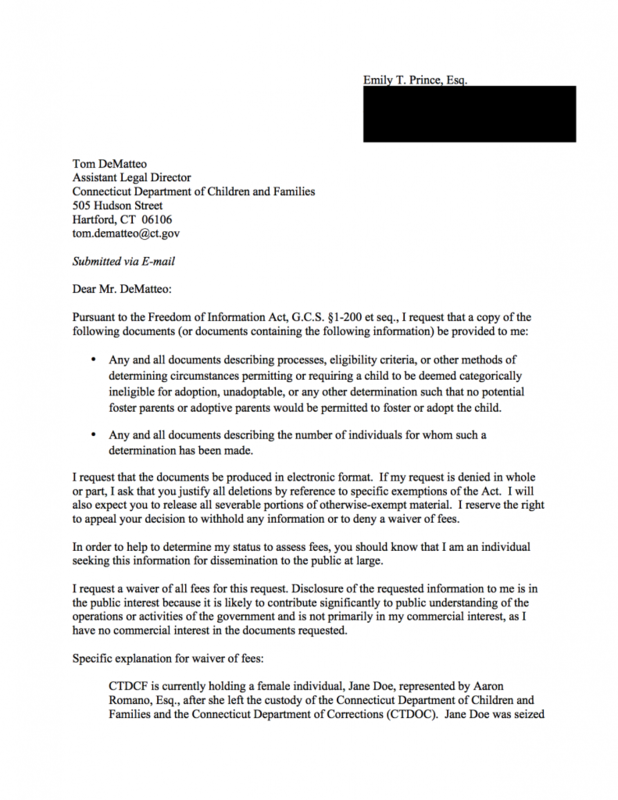 This FOIA request asks how CTDCF came to the conclusion that Jane wasn’t eligible for foster care or adoption, as it seems they do not see any family as fit for Jane. This entry was posted in Confinement, Documents, Freedom of Information Act and tagged CTDCF, FOIA, Justice for Jane on September 17, 2014 by emily.